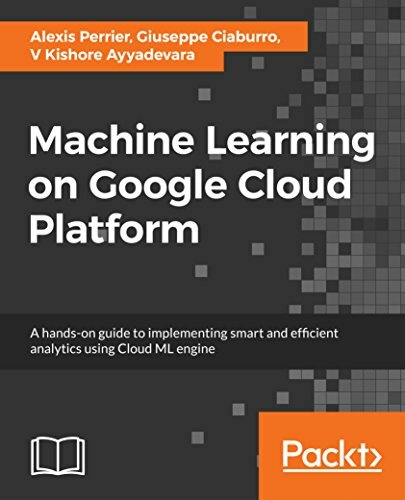 Hands-On Machine Learning on Google Cloud Platform | Free eBooks Download - EBOOKEE! Posted on 2018-05-18, updated at 2018-05-31, by perica123. This book is focused on making the most of the Google Machine Learning Platform for large datasets and complex problems. You will learn from scratch how to create powerful machine learning based applications for a wide variety of problems by leveraging different data services from the Google Cloud Platform. Applications include NLP, Speech to text, Reinforcement learning, Time series, recommender systems, image classification, video content inference and many other. We will implement a wide variety of deep learning use cases and also make extensive use of data related services comprising the Google Cloud Platform ecosystem such as Firebase, Storage APIs, Datalab and so forth. This will enable you to integrate Machine Learning and data processing features into your web and mobile applications. You will get a practical understanding of deep learning models with their architectures to understand their strengths and weaknesses. Every Deep Learning model is implemented with a relevant dataset and problem to be solved. No comments for "Hands-On Machine Learning on Google Cloud Platform".